The question is: Is doing mantra ever dangerous? Sometimes people do things with incorrect orientation or perhaps with over-effort. Or sometimes people do a practice—any practice, not just mantra—that isn’t right for them in that particular condition that they’re in. For instance there are certain practices—pranayamas and other kinds of practices including mantra—that cause heat in your body. If you already have an inflammatory process going, then you might cause some damage. You might get sicker. Or maybe you’re practicing with incorrect view. In other words, you haven’t got a teacher, or you have a teacher but that teacher isn’t orienting you correctly to a practice. In that case, you may do a practice and sink into a state of fantasy. You might start over-interpreting and misinterpreting things that are happening, and sort of willing yourself into certain conditions because you think they’re spiritual. That also might be dangerous. And then spiritual practice itself is dangerous. In the sense that if done thoroughly and with good instruction, it totally undermines your conceptual framework. So there can be all kinds of experiences of free fall and disorientation. If you don’t have a teacher or good guidance of some sort, then those things can become more destabilizing than they would need to become. In other words, there’s no one single yes or no answer to the question of if mantra is ever dangerous. But it certainly could be in certain situations. 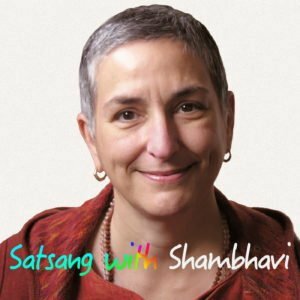 Satsang with Shambhavi is a weekly podcast about spirituality, love, death, devotion and waking up while living in a messy world.